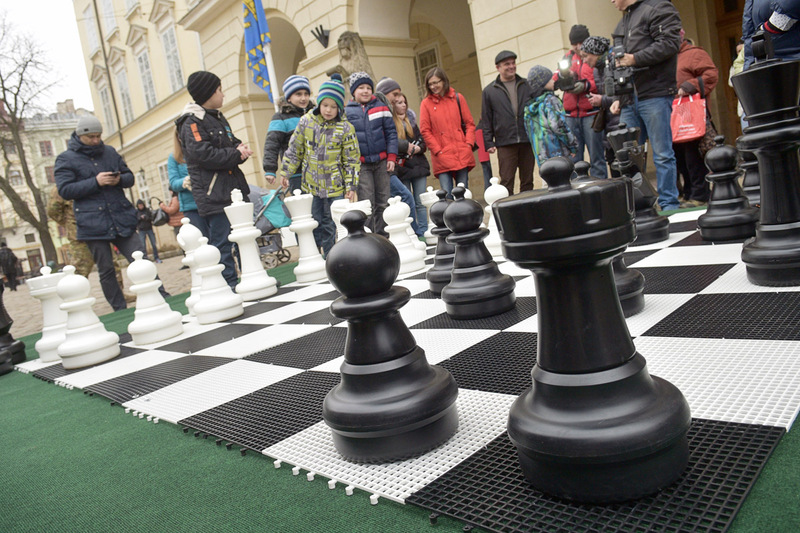 On March 4th, the first free day at the Women’s World Chess Championship Match, a giant chess board with pieces was installed right opposite Ratusha – City Council building. 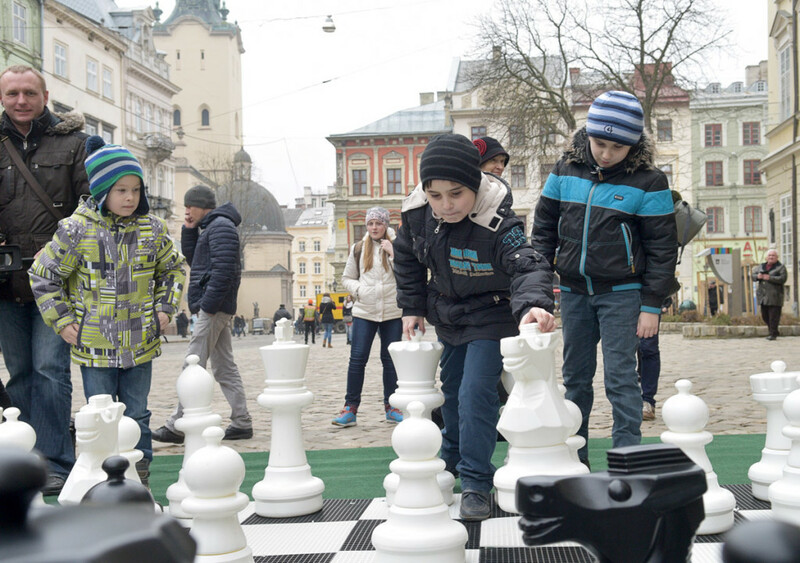 A dozen of children, who are the members of chess in school clubs, performed a master class at a giant board. 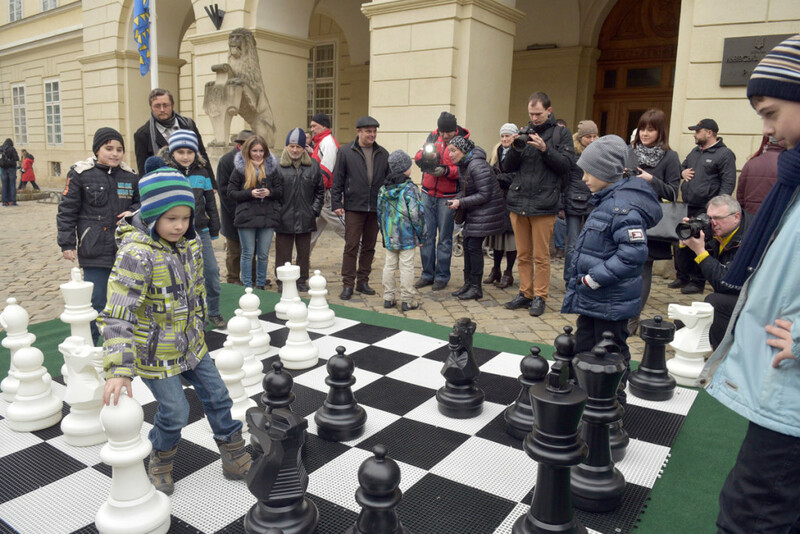 ‘Every day we are trying to offer Lviv citizens and guests some chess activities. 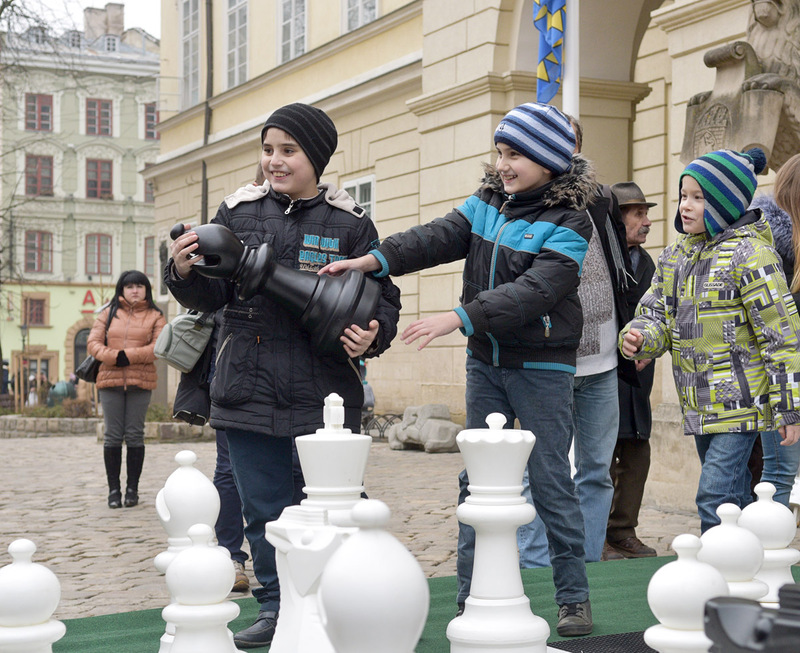 We want everyone to be able to play chess’, said Volodymyr Shneider, Head of Youth, Family and Sports in LCC. The size of the chessboard is approximately 4×4 m and the height of chess pieces is 0,5 m.
There are many side events promoting chess in the city these days. 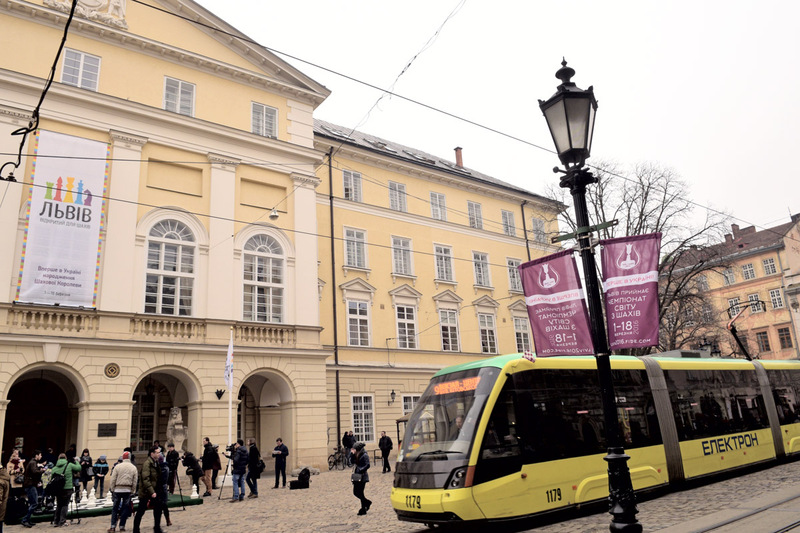 Lviv cinema centre offeres everyone to watch films about chess. 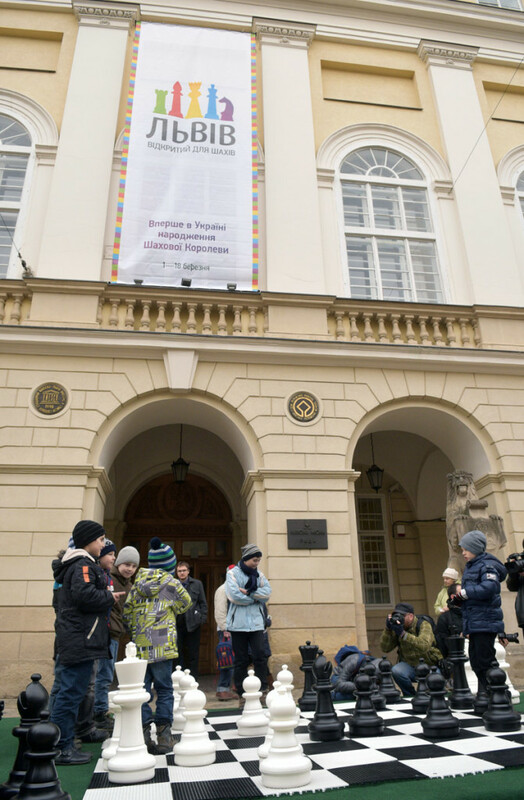 ‘We planned to have all those chess activities from the start till the end of the main event, Every day or every few days there are some events dedicated to the Women’s World Chess Championship Match’, said Marta Ivanyshyn, Head in Lviv City Council Promotion Office.